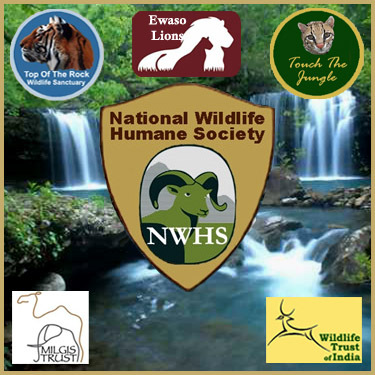 NWHS is a nonprofit humane society dedicated to reducing suffering among captive and non-captive wildlife through action, education and sanctuary. Our organization maintains a wildlife rescue sanctuary with over 20 years experience in handling specialized non-native wildlife needs. Thank you for sharing a vision of a more humane world for wildlife. National Wildlife Humane Society is a global non-profit wildlife conservation organization working to preserve and protect threatened and endangered species by providing programs and places. Top Of The Rock Wildlife Sanctuary is a place for animals to live in comfort and humane caregiving. The sanctuary is "no buy, no sell, no breed, no exhibit". We also endeavor to interface with other wildlife conservation organizations and governmental bodies, in the interest of non-captive wildlife. Please explore our wildlife conservation allies pages using the left side navigation links. Please feel free to explore our website and learn how we at NWHS are working to make the world a more humane place for nature's wildlife. 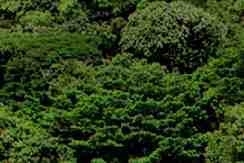 You will find links to our wildlife sanctuary's website, educational materials and numerous other interesting wildlife links as well. This site updates regularly, please visit often.